Nutmeg Essential is extracted from the seed the Myristica fragrans tree fruit native to the Spice Islands and surrounding areas. In Medieval times, nutmeg was viewed as a status symbol of the wealthy and used as an aphrodisiac. Nutmeg cuts were even adorned to attract mates and ward away evil spirits. 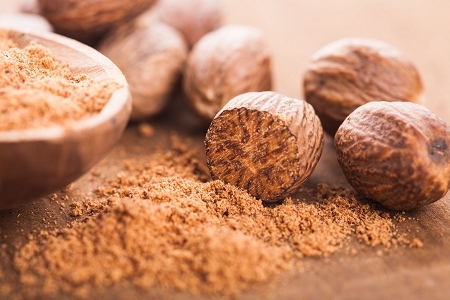 Nutmeg oil is popular in massage for its ability to ease joint and muscle soreness. Its rich and festive scent is surprisingly calming and has been known to improve the quality of dreams.